Fitch Ratings has affirmed Aeroflot’s Long-term Issuer Default Rating (IDR) at ‘B+’ and has removed the airline from Rating Watch Negative (RWN), the agency stated on March 7. The agency’s experts believe that despite unfavorable economic conditions that negatively influence the airline business, the outlook for Russia’s largest carrier is stable. The experts forecast a slow recovery beginning in 2018. “The rating affirmation and removal from RWN reflect the improvement of Aeroflot’s credit metrics in 2015, which we expect to be sustained over 2016-2019,” the report says. Strengthened by lower oil prices, domestic traffic growth, an increase in ruble yields and reorganization of the charter business, experts have found that Aeroflot’s financial results for 2015 “demonstrated significant improvement.” The positive dynamics are expected to continue over 2016-2019. Among the strongest factors that support the positive outlook for the airline are the 56 international routes that Aeroflot inherited from its bankrupted rival Transaero and a noticeable increase in Aeroflot’s market share after the competitor’s exit. “The rating action also reflects our forecast of positive free cash flow generation over 2016-2019 and Aeroflot’s limited involvement in Transaero as opposed to the previously planned but subsequently cancelled acquisition,” Fitch’s analysts write. “The Stable Outlook incorporates the balance of risks between financial and Russian air travel market pressures and the company’s fairly strong business profile and adaptability to challenging market conditions,” the experts conclude. They point to Aeroflot’s diversified route network, favorable hub position, organic capacity growth and strong position on domestic market as factors that support the outlook. Aeroflot is expected to deliver healthy RPK growth over 2016-2019. Aeroflot Group that includes several smaller carriers besides the parent airline, reported 415.2 billion rubles of revenues in 2015, up 29.8% year-on-year. The group’s operating profit more than tripled year-on-year to 44.1 billion rubles, while the annual net loss decreased to 6.5 billion rubles. Aeroflot was entitled by the Russian government to control the shut-down of Transaero’s operations at in autumn 2015 to mitigate negative economic and social consequences. The latter was unable to continue operations due to high financial debt. 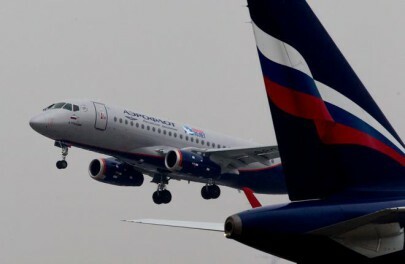 Aeroflot took responsibility to carry about 2 million passengers of its struggled competitor. The costs associated with Transaero’s crisis were estimated at 16.8 billion rubles.